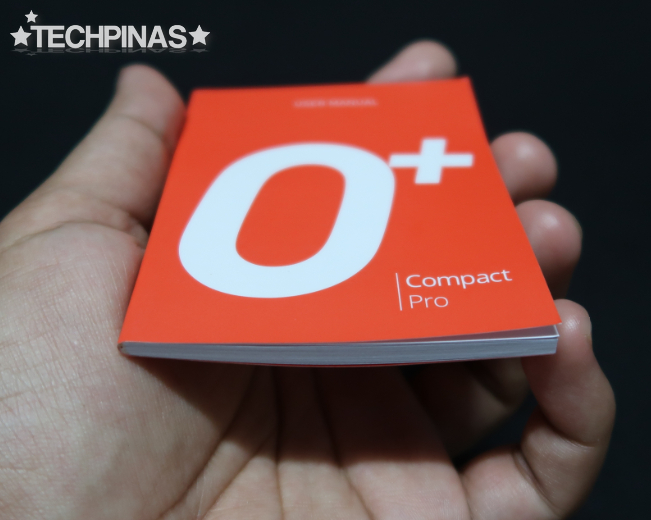 O+ Compact Pro is the best cameraphone that O+ USA has crafted to date -- and it's now available at all O+ Concept Stores, Kiosks, and authorized retailers across the country. 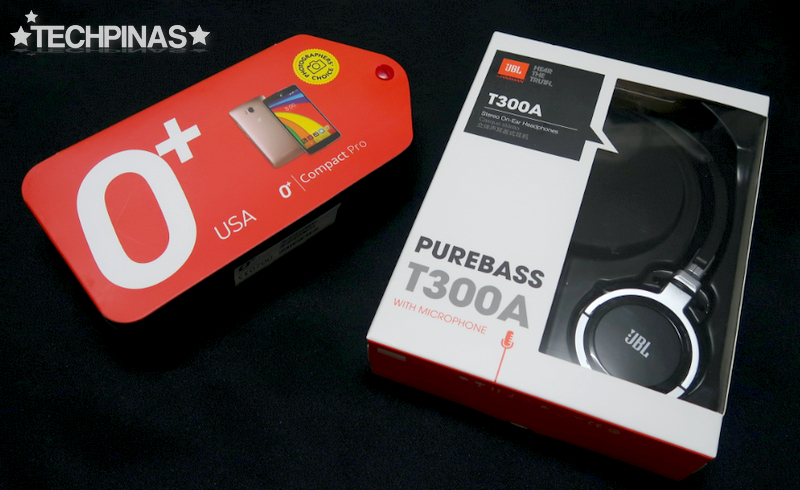 It currently has a promo price of Php 11,395 and for that amount you will already get the complete retail package plus the JBL PureBass T300A headset that's bundled with the handset for free. 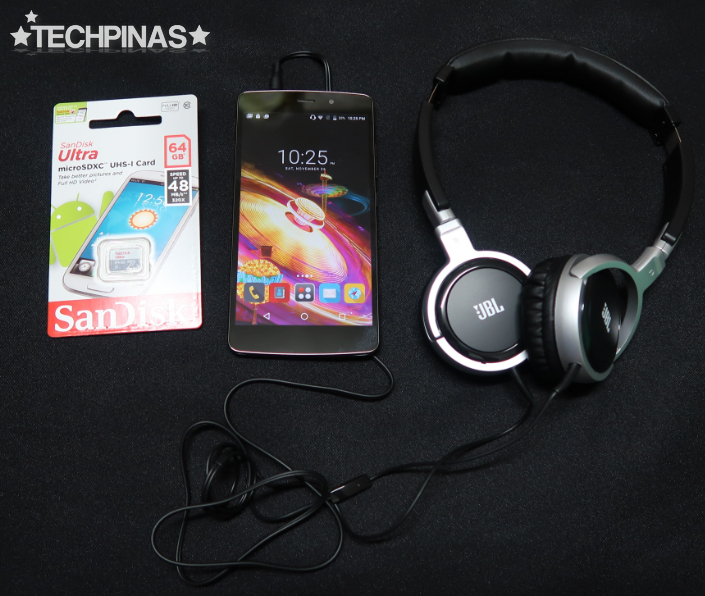 Let's do a quick unboxing, shall we? This is the same packaging design as the one we saw on O+ Venti 4G. It features a carton outer case and an inner poly-urethane composite box that swivels out to unravel the device and all the accessories included. 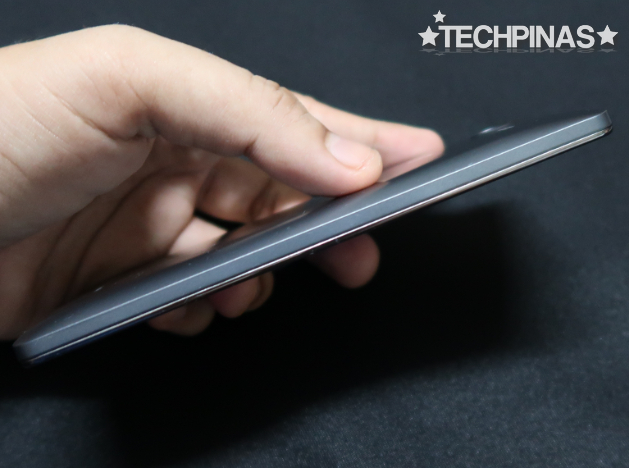 The smartphone rests in this velvety cradle, which adds protection to the device during shipment. The cradle also swivels out, revealing the other contents in the pack. 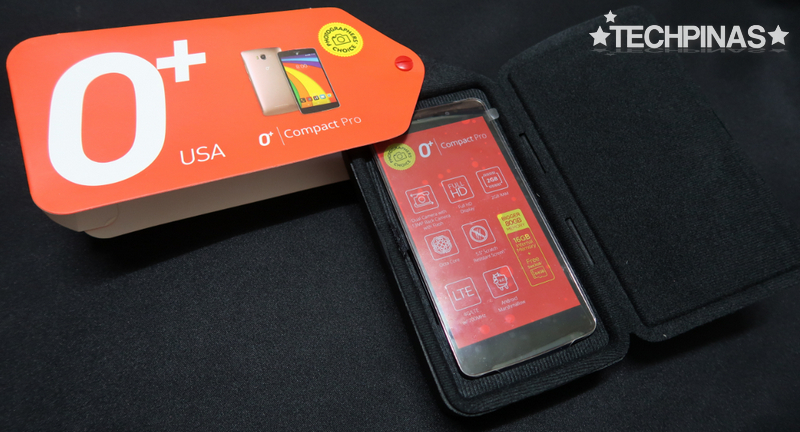 This is the complete O+ Compact Pro retail package. 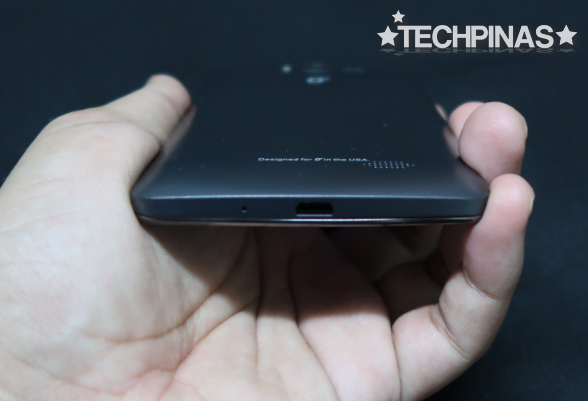 The scratch-resistant touchscreen is further protected by this sticker showing the key features of this flagship release. If you have time, read the rather thick user manual. 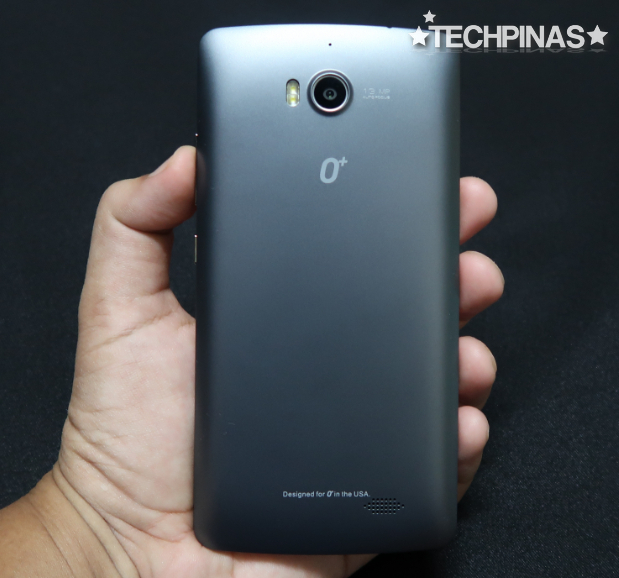 One of the things that O+ USA is known for is its good after-sales service. Should your unit require to be fixed sometime in the future, simply call the company and they'll pick it up from your home or office for a small fee. 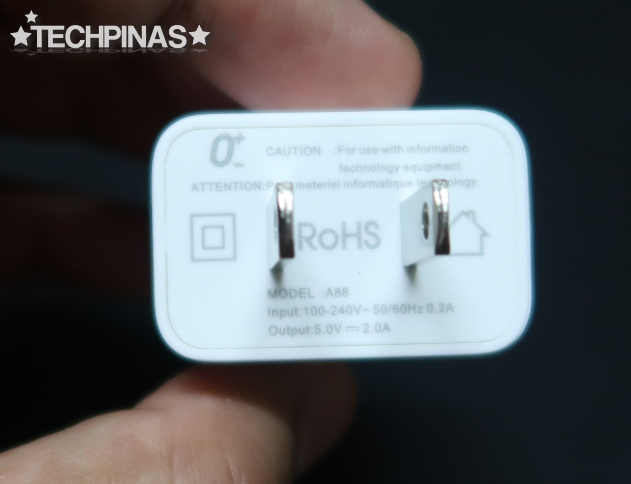 The travel charger has 2.0A output; That's fairly fast. 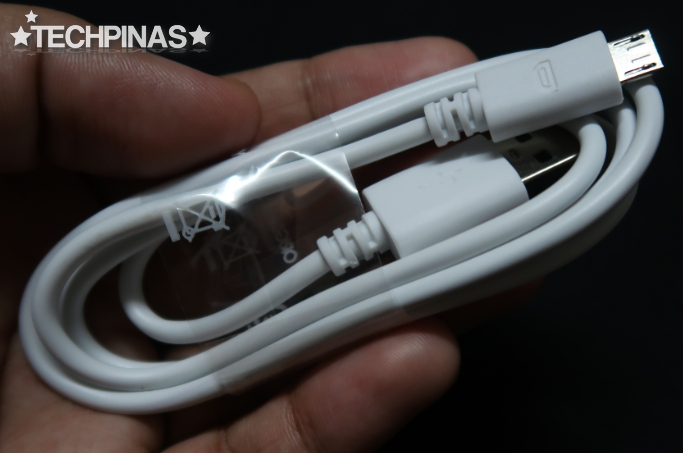 The microUSB to USB connector cable for charging and data transfer. 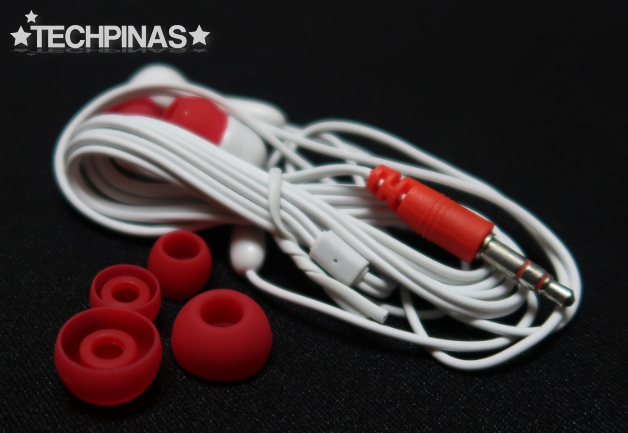 Aside from the JBL Headset, you will also get this pair of standard earphones with extra in-ear silicone buds. 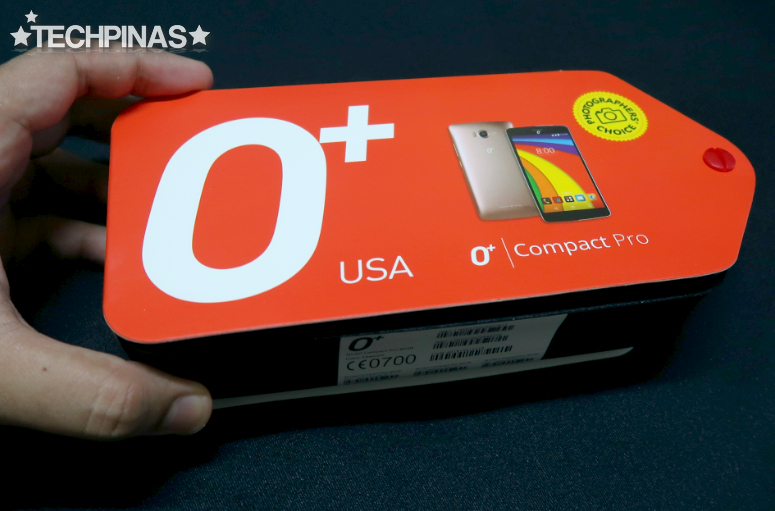 The screen is scratch-resistant but O+ USA also generously included this free screen-protector in the box. 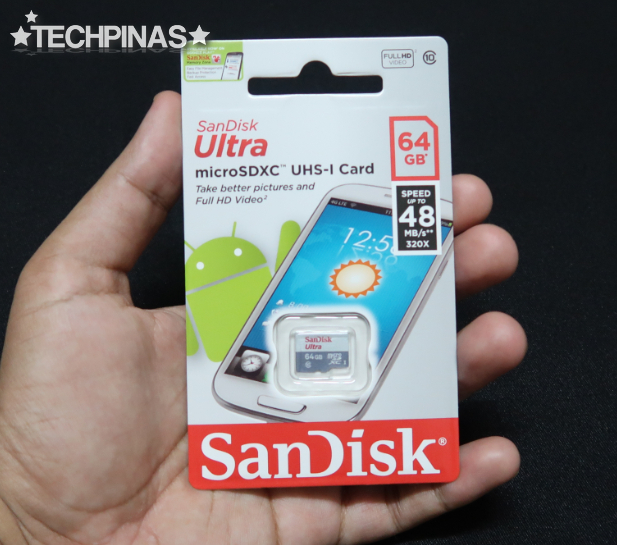 You can use the bundled 64GB SanDisk Ultra microSDXC card to beef up the total user available storage space to more than 70GB! 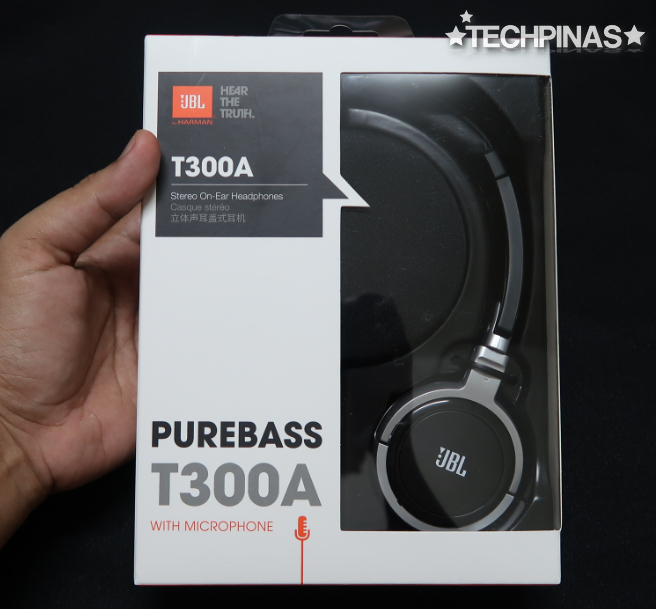 JBL PureBass T300A has a frequency range of 20-20KHz, impedance of 30 ohms, and cable length of 1.2 meters. 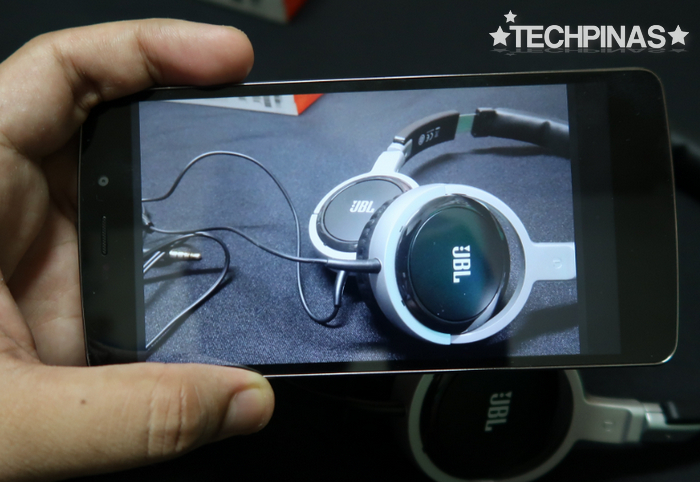 It also has a microphone that you can use for recording your voice or for making calls. 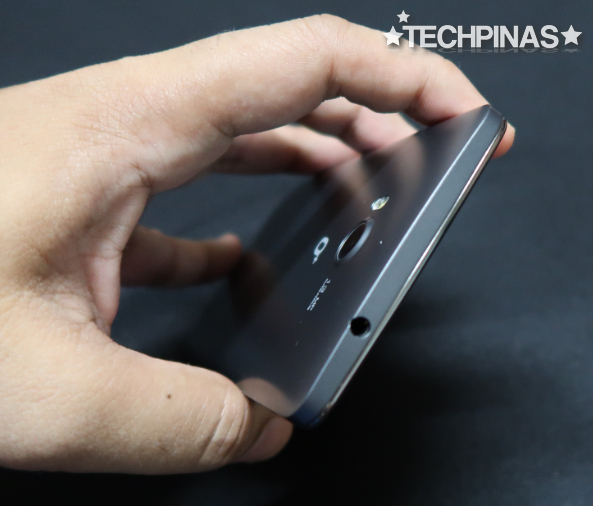 Now, let's take a look at the handset itself. 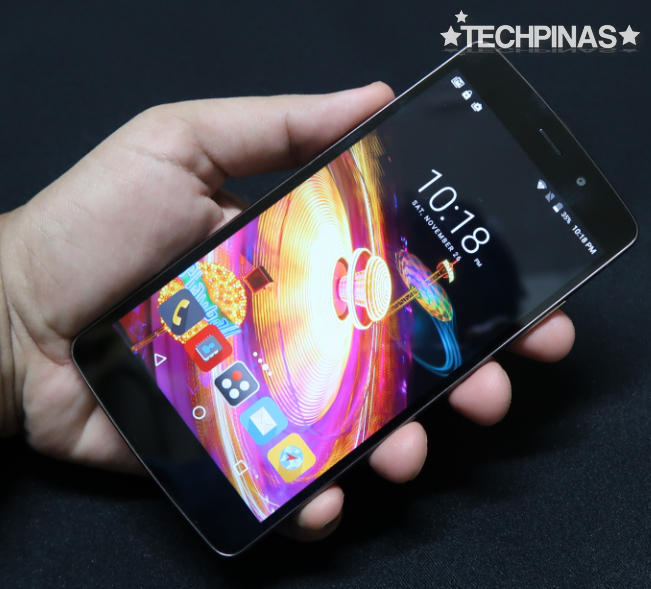 O+ Compact Pro flaunts a 5.5-inch Full HD IPS display panel that looks great regardless of the viewing. The colors are accurate and the details appear very clear. 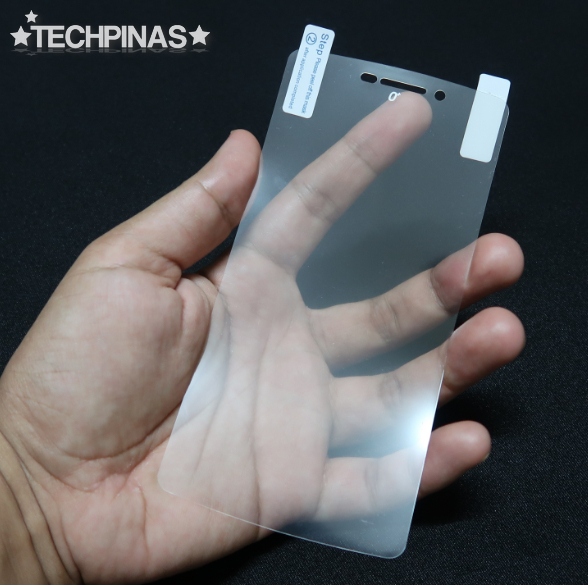 The polycarbonate back plate is removable, giving access to the two slots for microSIM card and one for microSD card memory expansion. 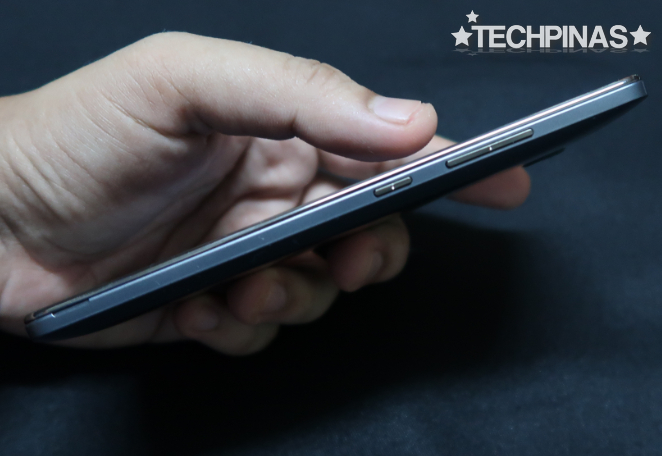 The glass face is framed by a metallic accent and the volume rocker as well as the power button are crafted from real metal. 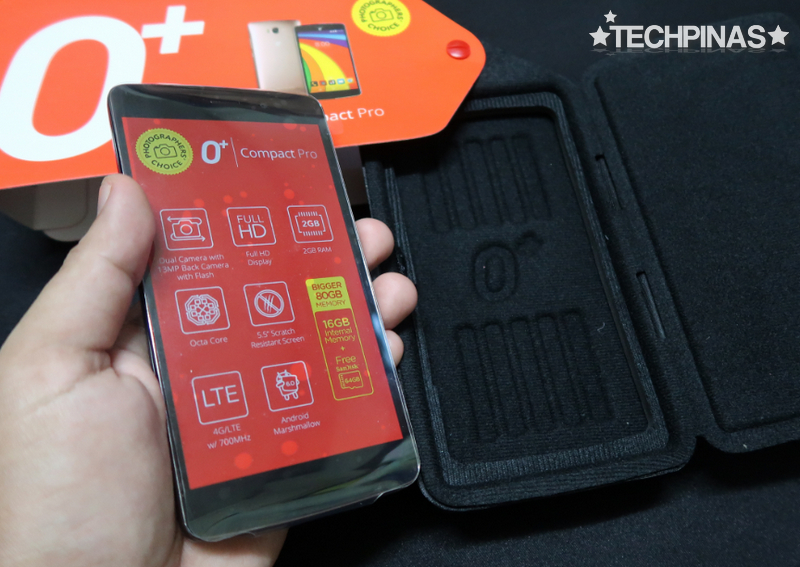 O+ Compact Pro's main selling point is its 13 MegaPixel autofocus main camera with Dual LED flash, f/2.0 aperture, and BSI sensor giving it enhanced low-light performance compared to other cameraphones that O+ USA has ever released. This shooter is complemented by another one in front with 5MP BSI sensor and wide-angle lens, delivering selfies that are ready for sharing on social media. 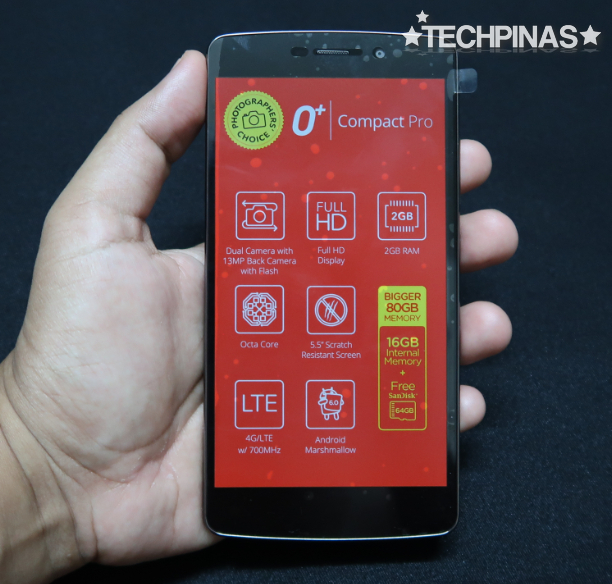 At its heart, O+ Compact Pro runs Android 6.0 Marshmallow with a 64-Bit 1.3 GHz Octa Core MediaTek MT6753 chipset - that's good enough for 3D gaming - and has 2GB of RAM for relatively smooth multitasking. 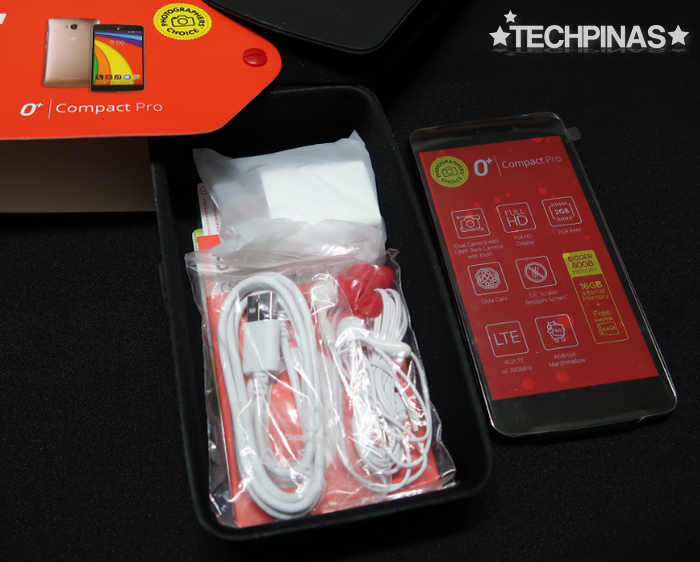 Like previous midrange and high-end O+ USA smartphones, O+ Compact Pro comes with pre-installed software innovations from the company, including Air Shuffle, Shake to Answer Call, Call and Type, Peace to Selfie, and Doodle Control. Alright! That's it for now, TP Friends! Let me take this cameraphone out for a spin and I'll show you the resulting shots as soon as I can. Stay tuned!